This is where we walked, up over Ullock Pike and along what turned out to be a very fine ridge. I think both of us were feeling a bit less that fit, or perhaps it really was a reasonable stiff ascent. But lovely views. Our map only just reached to the north of the peak so we had to guess the way down. 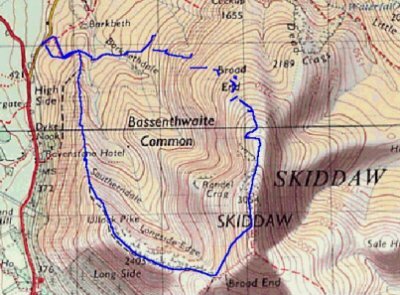 As the blue track shows we ended up meandering our way down over the trackless hillside. Made more difficult at first by poor visibility in the cloud that inevitably shrouded the top of Skiddaw. 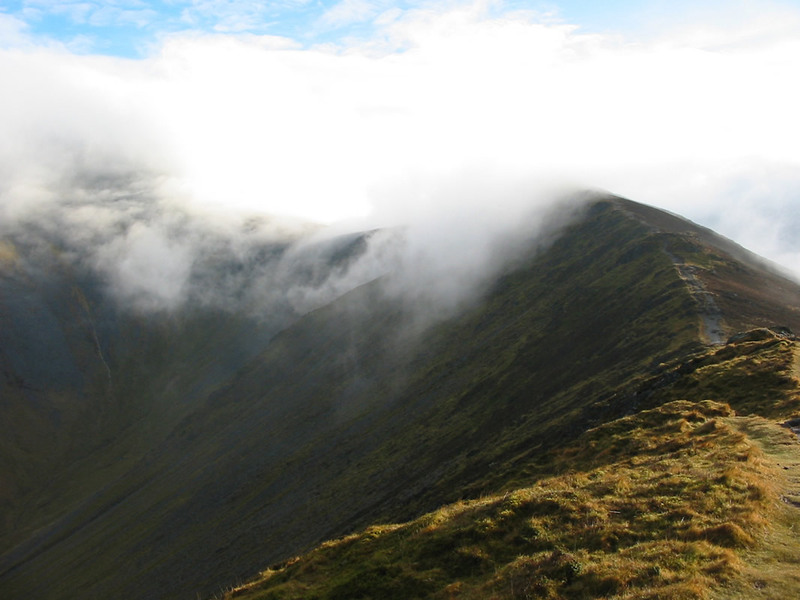 I think this the bit just before Ullock Pike itself, showing the ridge climbing up through the clouds to Skiddaw. Looking back from Ullock Pike you can see Bassenthwaite lake in the valley beneath. The soft December light gives the landscape the look of a painting. 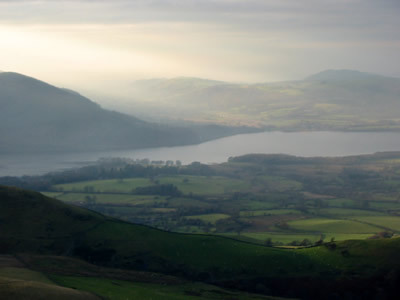 This is the view looking down the ridge from Ullock Pike, showing the valleys on either side.